We may be well past the holidays, but here at Corinthian, January has been as busy as ever! 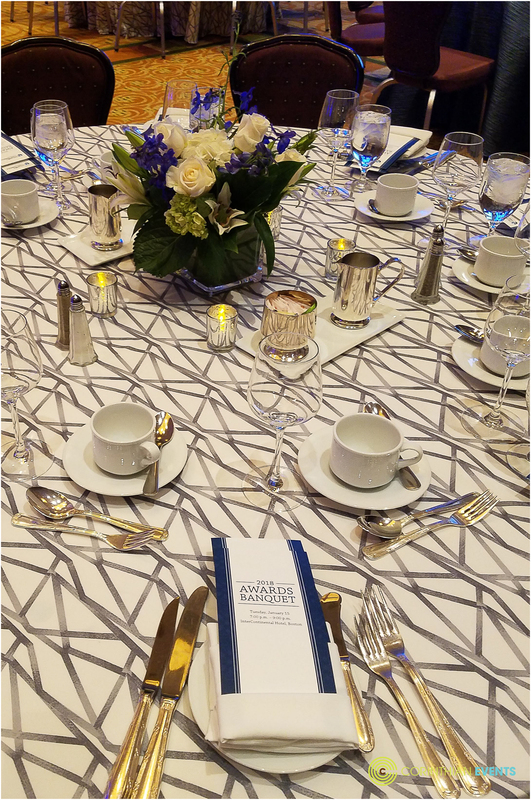 We recently worked with one client for their annual national sales awards dinner. This night was a blast. This was our fifth consecutive year working with this client for their annual celebration. The event was held once again at the Intercontinental Hotel on Boston's Waterfront. Guests said it "feels like coming home" to return to the Intercon for another evening of fun, awards, and celebration of a year of hard work. Our room flip went off without a hitch, as guests moved from their meeting space to cocktails. Meanwhile, our team flipped the meeting room and set 21 tables for dinner in less than 30 minutes! Our team has become a well-oiled machine when it comes to mid-event changeovers. 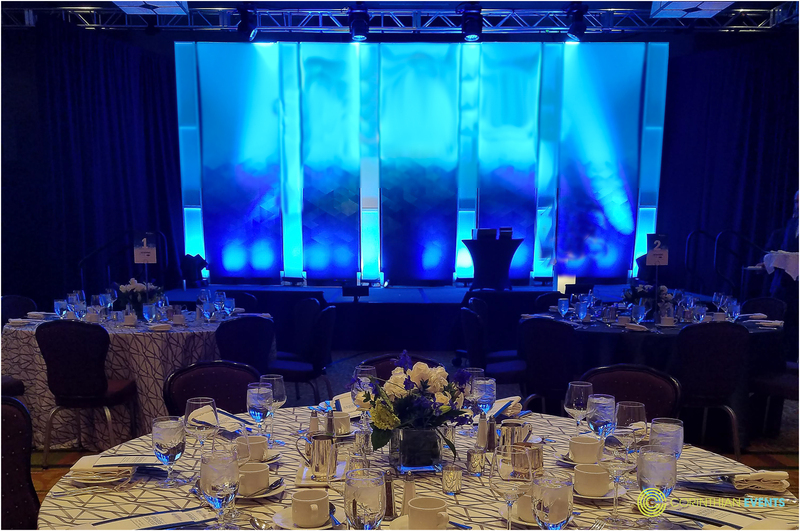 Our experience, especially at repeat events where we can learn and improve with each year, has honed our management skills to pull off a room transformation in even the tightest of windows! Our décor was accompanied by beautiful floral work sitting atop gorgeous linens. 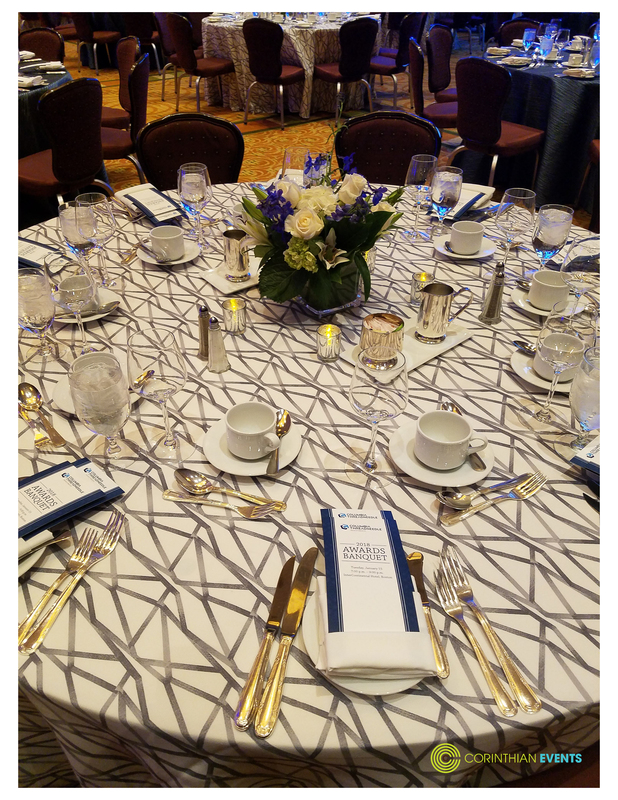 It was a great night of fun for our client, and a night we were proud to be a part of! We're already looking forward to topping our own efforts at next year's event!